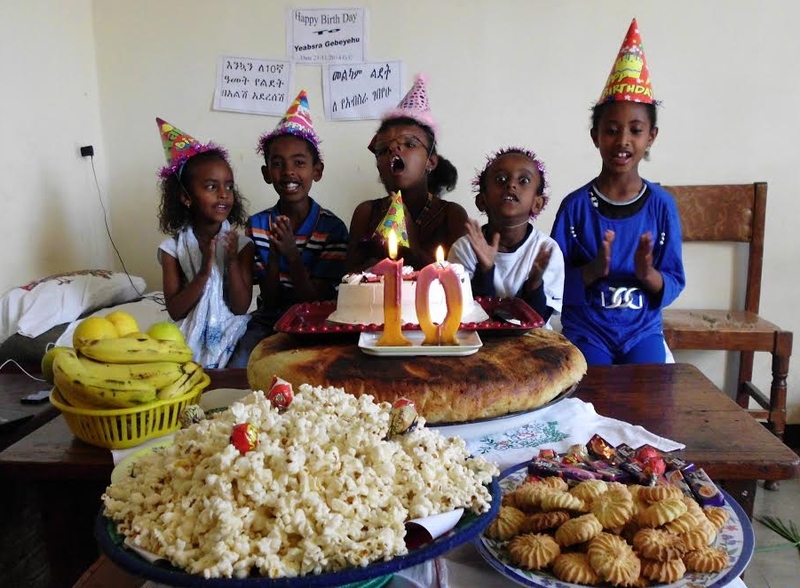 Yeabsra Gebeyhu Hailmarim, a patient at Yekatit 12 (our Ethiopia partner hospital) celebrates her 10th birthday with a big party in Addis Ababa. Yeabsra (centre) travelled to Canada with her mother Aynalem in 2011 and 2012 to receive treatment for her complex craniofacial cleft. Here, she made a lasting impression on TF staff and supporters and has become a wonderful part of the Transforming Faces family. She continues to receive follow up treatment at Yekatit and is thriving in school.